If I have a video game obsession it would be Persona 4. Something about that game and its characters resonated with me in a way that I had never felt before. Obviously I’m not the only one, as Persona 4 became a huge hit… and then the bizarre spin-offs started coming. I guess it’s fitting though because the world of Persona is bizarre. 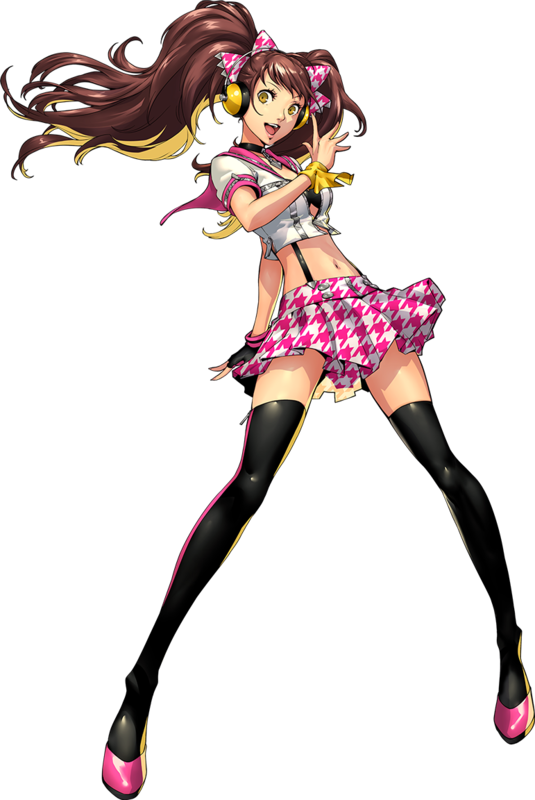 But what I wouldn’t have dreamed of is that there would be a dancing rhythm game using the characters and settings of Persona 4. 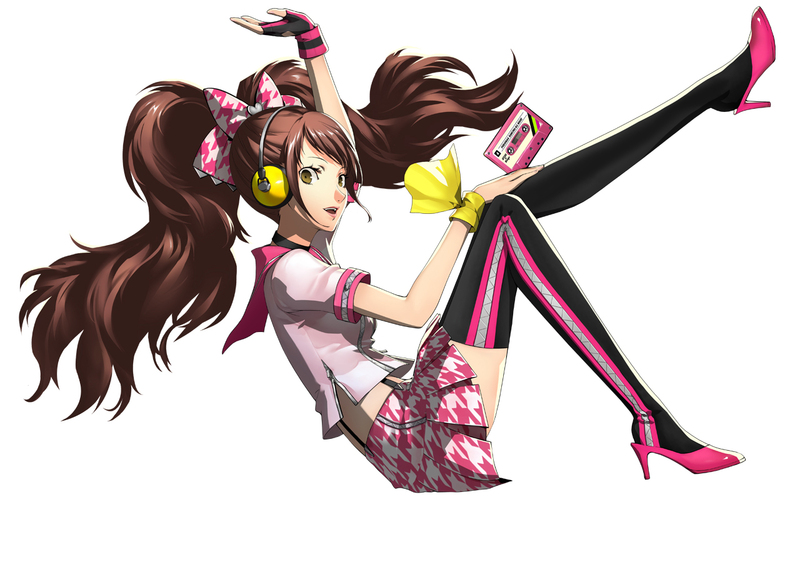 That brings us to Persona 4: Dancing All Night and Phat Company’s Rise Kujikawa. 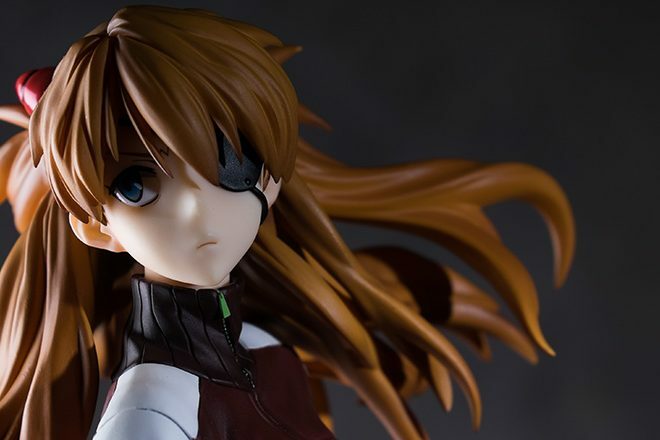 A search on MyFigureCollection for Rise Kujikawa reveals that there aren’t many figures for her. In terms of non-prize figures, you have a Petanko, a couple of swimsuit figures, a couple small-scale ones from Wave, and this (there is a brilliant one coming up from Aquamarine, though). It’s a bit disappointing because Rise is my favorite character, and no one has really done anything interesting with her thus far. 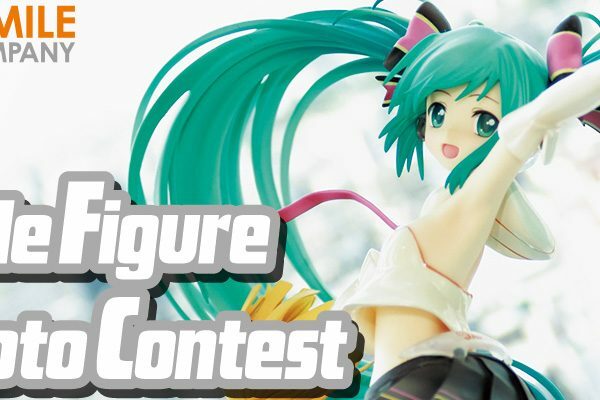 Taking from her Dancing All Night design, Phat Company’s rendition manages to set itself apart from the other Rise figures. However even with her idol costume I can’t help but feel a bit disappointed at how this figure turned out. It’s all because of the pose. Look, you’re designing a figure based on a dancing game. A dancing game with choreographed dance moves. Why, of all the possibilities, do you go with this pose? There are five other figures of the same character, and two already have stretched out right arms. It just feels like… they weren’t trying. It’s a dancing game, guys!! The promo art gives two possibilities that are way better. Those poses are more dynamic and fitting of Rise’s personality. She’s an idol! In a dancing game! Come on! What’s she doing here, operating a web shooter? Rise’s not Spider Man! When doing the 360 shots, I noticed a few issues with the build quality. This isn’t a badly made figure, but it’s certainly not in that top tier of build quality. There was a noticeable mold line in the hair, as well as some paint globs on the back. Phat Company did a nice job applying the houndstooth patterns but the paint was rough on some of the other areas of her clothing. 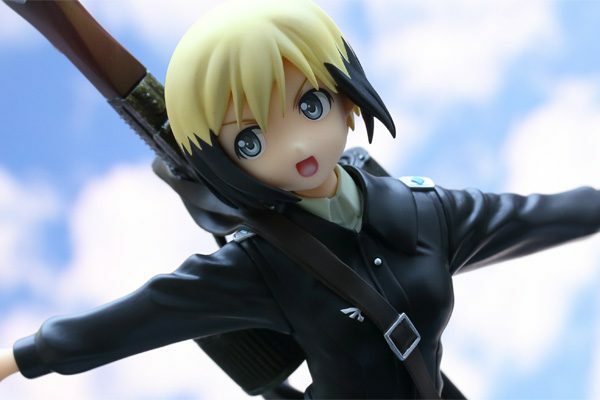 This is where Phat Company sits on the quality spectrum so there’s nothing unexpected here. The quality is fine, and I’m happy to display this figure because I generally view them from a distance where these imperfections aren’t visible. For this shoot I wanted to try something different. I decided to build up a stage, inspired by one of Rise’s stages in the game. Between conception and execution, there was a lot of simplification. All the set pieces were cobbled together with maybe $20 worth of materials from the hobby store. The real challenge was figuring out how to light it all. Even after six years of photographing figures, I’m still learning from each shoot. One lesson I learned was figuring out the point at which I was overthinking the lighting. I had started out with the stage lights, added in a spotlight for the figure, and then two more for rims. But something looked off about the resulting photo, and I couldn’t get it right no matter how I balanced the flashes. After a while – and quite accidentally – I took a shot without the flash. I ended up redoing the whole shoot with long exposures. Another lesson I learned was to try to process my mistakes. I sometimes look at my rejected pile to learn from them, but sometimes you can salvage a reject and turn it into something cool. A few photos in this shoot were destined for my reject pile, but I took a closer look and managed to turn them into nice images (well, nice to me anyway). The aesthetic contrast gave them an interesting feel that stood out. This set turned out all right in the end, but it’s unfortunate that I couldn’t do more with the figure due to its pose. It’s really not a bad figure; this is more about me being disappointed that we didn’t get a next-level Rise figure. With all of the pose and design possibilities from Dancing All Night, to settle on this feels like a huge missed opportunity. Hopefully one day we will get that perfect Rise figure.